Today, US closed down the price for crude oil at $40.67/barrel, but a year and a half ago the price was over 2 times more, even going over $100 per barrel; for something that’s traditionally went up in recent years, that’s a huge, and surprising change. But for all that price reduction, demand is still up, and production has never been higher. If you’re talking to people working in the oil industry, spirits aren’t very high. Many people have been laid off, many projects have been put on hold, and quite a number have been shut down. 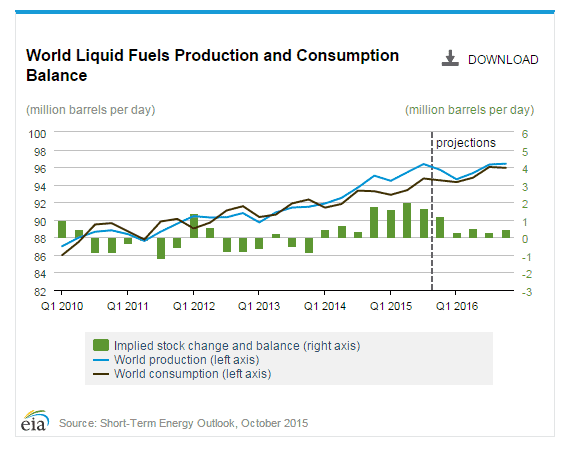 But global petroleum request continues to outpace production, and as a result, production continues to increase. It should be said that the price decrease isn’t caused by the production growth; somewhat on the contrary, even though oil extraction is much less profitable, production continues to grow.